During winter, my mind wanders around a lot. Mostly it travels southwards, but occasionally the journey is in 3-D, from the farthest galaxies1 to the center of the earth. Though mother earth is pretty cool on the surface, she's despite her age still a hot girl, and when I look out of the window (snow, snow, and more snow) I like to remind myself that we're all just sitting on a thin layer of cold stones below which our planet is dynamical and full of energy. In 1864, Jules Verne wrote his fantastic novel 'Journey to the Center of the Earth' , and today I read there will be a new remake of the movie, called 'Journey 3-D', which is advertised with "Journey 3-D will be shot in live action, with the otherworldly landscapes and creatures supplied by high-definition, photo-real 3-D technology.". But there's a very realistic side to the fantastic travels. 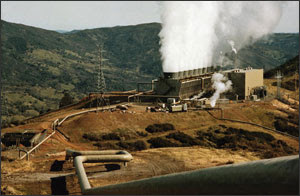 Since the beginning of the last century, geothermal power plants have been build to use the energy of the earth's heat. The first geothermal power plant was built 1904-1911 in Larderello, Italy - in an area once known as Valle del Diavolo (Devil's Valley) for the boiling liquid that bubbled out of the ground. The power plants in Larderello were destroyed during World War II, but have since been rebuilt and expanded. 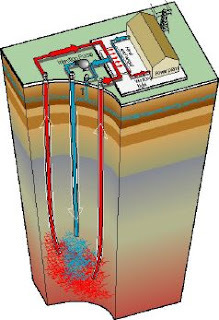 1) Use the hot water from the geothermal source to route it directly through a turbine to produce electricity. When the hot water is released from the pressure of the deep reservoir, part of it flashes (explosively boils) to steam. Therefore these power plants are also called 'Flashed Steam Plants'. The force of the steam is used to spin the turbine generator. To conserve the water and maintain reservoir pressure, the geothermal water and condensed steam are directed down back into the periphery of the reservoir. You can look at a virtual tour provided by calenergy.com: for Quicktime or Windows MediaPlayer. 2) Or, in case the geothermal reservoirs produce mostly steam and very little water, the steam goes directly into the turbine. The largest known field in the world is the Geysers dry steam reservoir in northern California, which has produced electricity since 1960, and, after 40 years, still produces enough electricity to supply a city the size of San Francisco. 3) Pass the hot water from the geothermal source through a heat exchanger, where it is transferred into a second cycle. These type of power plants are therefore called 'Binary Cycle'. 4) 'Dry Hot Rock' technology, which makes the energy extraction independent from the natural water or steam resources. All one needs is, well, a dry hot rock that shouldn't be too far below the surface. The current limit for efficient mining is approx 5 km (3 miles) underground. Water is pushed into the hot rock, where it gets heated and due to its own pressure then rises through drill holes back to the surface where energy can be extracted. For more information, see e.g. this website. The Deep Heat Mining project in Basel, Switzerland, is based on this technology. It was stopped last month following a series of small earthquakes whose center was located at the construction site. (see also Physorg.com: MIT releases major report on geothermal energy). Though geothermal energies will not be able to cover the world's increasing need for energy, it is an alternative source whose potential has not yet been fully explored, and I am happy to see that efforts go into this direction. The world's energy supply is a problem that we have to face, or our journeys in all dimensions will come to a very unpleasant and sudden stop. I just came back from a walk outside, snow under my feet, and it is hard to imagine that only some kilometres below me there is magma in turmoil. Coincidentally, I just read a local success story about heating with geothermal energy in the neighbor town Kitchener which I find quite amazing. Sometimes I think the English language lacks a dimension because unlike German, nouns have no gender. The earth as well as nature, energy, science, and also physics are female2. Progress, optimism and change are male3. Footnote 1: My way of signing the book of condolences for the loss of Hubble's best eye, see posts at Cosmic Variance and Asymptotia. Footnote 2: So is confusion (die Verwirrung), and stubbornness (die Dickköpfigkeit). Footnote 3: So is the mistake (der Fehler), and the breakdown (der Zusammenbruch). About half a year ago, the German soccer team reached the semifinals of the world championship in Germany - it was a huge party here, but, as you may remember, it was Italy who eventually became world champion. Tonight, another German team made it to the semifinals of a world championship taking place in Germany, by beating the acting champion! Well, in case you didn't get the news - no shame, even here not everybody is following what is going on, and there are no crowded public viewing areas this time. The game is handball, and the German team wasn't a big favourite for the title, so far. Now, the next match will be the semifinals against France on Thursday. I was asked by Sabine to write here about why I became a physicist, and to answer a few ancillary questions she supplied as guidance. I am happy to comply, so let me start from the beginning, as I am a tidy person when it comes to writing. When I was a kid, I used to be a little mathematics genius. I was fascinated by math and its rationality - everything was simple, and orderly, quite unlike the shattering relationship between my parents. Math was a refuge. And quite naturally, from math I came to appreciate most natural sciences, especially Astronomy. It was only in high school that I started to study Physics and to love it, stimulated by a very charismatic professor of math and physics. To study Physics at the University became a natural choice, but my interest in the investigation of the organization of Nature at the smallest scales was not love at first sight, but a slow process, and my landing in high-energy particle physics was somewhat accidental - I stumbled in a call for summer students at Fermilab, and got hooked! I realize that telling the story of how I became a researcher does not fully answer Sabine's question of why I am a physicist, but it is tough to do that. After the University I could have decided to become something else, but so many things pulled in the same direction I did not even start to oppose resistence. So let me make a list of why I chose a career as a physicist, rather than trying to make sense of each bit in a grand design. Computers are my best friends. I am fascinated by science and basic research. I am ecstatic if I can find a pure thought nobody had before, and use it in my studies. I love to teach. And I love to travel! But of course there is more. I am not driven by a strong ambition - let's say that my objective is to end my career as a inspirational professor of physics. What drives me in my job is rather the attempt at justifying my life in helping the advancement of human knowledge, and I think the best way to do it for me is by doing research in particle physics. Of course, I find my job fascinating, and just being part of giant and complex projects such as CDF or CMS makes me proud. There is always so much to learn that one cannot get bored. And it is extremely stimulating also because many of the people I work knee to knee with are at least as smart as I am, and it is a full time job to keep my head above the water. Sabine also asked me about my blog. Why do I spend so much time on it ? I think as scientists we have the moral obligation of doing as much outreach as we can. In today's world there is such a tremendous drift toward irrationality, religious beliefs hindering the progress of a free society, and a continuous barrage fire on the media promoting superstitious beliefs, that if scientists continue to hide themselves in their ivory tower they can only lose the battle. What is the purpose of devoting one's life to the advancement of knowledge, if that knowledge is not shared by many ? Sure, one could argue that technological advancements are used by everybody even if people do not understand them, but the problem is that as science gest more and more disconnected from the real world the investment that society does will shrink gradually. It took just a few ignorant congressmen to kill a fantastic experiment in the nineties, the SSC. Because of that, we lost 15 years in fundamental physics. So it is our responsibility to educate to science the future congressmen that could kill important new endeavours. 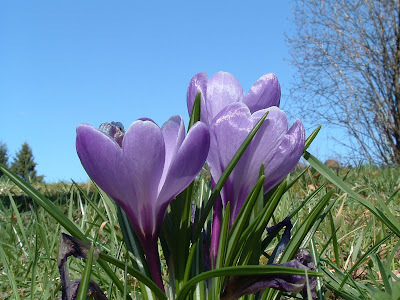 Keeping a blog, maintaining it and making it interesting and stimulating both to non-scientists and to colleague scientists (their contribution is fundamental to keep the effort going) is a heavy burden, but I have some time to devote to it since I do not teach. So I invest part of my research time in explaining particle physics to whomever wants to listen... So far so good! 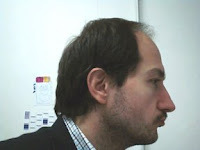 Tommaso Dorigo is a INFN researcher in particle physics at the University of Padova. He collaborates with the CDF experiment at Fermilab and the CMS experiment in construction at the CERN laboratory. His research activities are in top quark physics and Higgs boson searches. Tommaso is 40 years old. He lives in Venice with his wife Mariarosa, a teacher of latin and greek, and their two children, Filippo (7) and Ilaria (3). When he is not working (that is, most of the time) he is busy with his many hobbies: astronomy, chess, piano. And of course he maintains the blog 'Quantum Diaries Survivor', where he strives to make elementary physics really elementary, by explaining cutting-edge research in simple terms. ... that "Brille", the German word for eyeglasses, comes from beryl, the name of a transparent crystal? 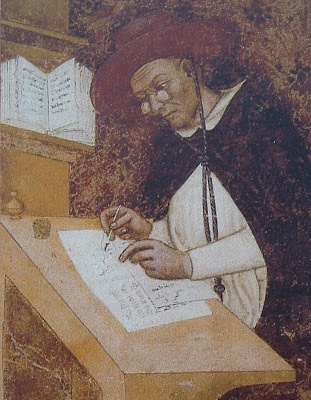 It seems that eyeglasses are an invention of the Middle Ages. At that time, however, glasses were not made of glass, but from a mineral which comes in a clear, transparent crystalline variety. This material, beryl, was the material the first lenses were carved from. Beryl is, chemically speaking, a cyclosilicate, a compound of the light metals beryllium and aluminium with silicon and oxygen. Its chemical formula is Be3Al2(SiO3)6. In its pure form, beryl is a colourless, clear mineral, but if it is "doped" with trace amounts of other metals, it can have all kinds of colours - and be very precious. Emerald, for example, is a variety of beryl, coloured green by impurities of chromium and, sometimes, iron. Now, colour centres are a very interesting physics topic of their own, but I was reminded of this beryl story when I came across a comprehensive, freely available paper on the James Webb Space Telescope. 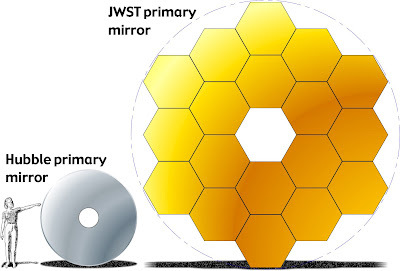 The JWST is a planned satellite telescope which is sometimes called the successor of the Hubble telescope. One of its scopes is to study the first galaxies in the young Universe at a redshift in the range of 5-10. 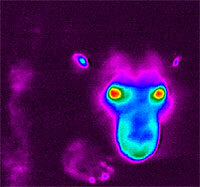 This means that all visible light is shifted far into the infrared. So, the JWST is optimised for observations at the infrared part of the spectrum. It will have a primary mirror with a diameter of 6.5 meters (21 feet 4 inches) which consists of several segments. And these segments will be made of - beryllium. Metallic beryllium was chosen to produce the mirror because its stiff, light weight, has very small thermal expansion over a wide temperature range and holds its shape at the low 50 Kelvin at which the telescope will operate. It's a funny coincidence that the same element, which as a main component in a mineral was used to produce the first eyeglasses, will soon help us to look back into the youth of our Universe! In my apartment the heating is in the ceiling. Not a joke. I've wondered where the guy grew up who had this ingenious idea, had he never heard that hot air rises? But NASA has provided me with a hint regarding this question. This morning, I was staring at the tea water, waiting for it to boil. Did it ever occur to you that the rising heated water is necessary to get the temperature homogeneously distributed? But what if the hotter water with smaller density does not rise? Say, because there's no gravity? More Info as well as some movies about cooking water in zero gravity at this NASA site. Check also the bursting water balloon in zero gravity. And more fun with water balloons. Also: Don't miss a demonstration how to eat tea with chopsticks, a truly essential piece of research. Now I'm convinced the guy who constructed my heating came somewhere from outer space. That's just how things are up there, why bother. All I have to do is sleep on the ceiling. PPS: I think some people should add this label on their papers if their work may cause brain malfuncion. 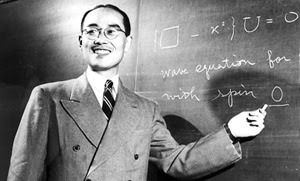 Hideki Yukawa made the proposal, in 1935, that the nuclear force with its characteristic short range and saturation properties could be mediated by a massive exchange particle with roughly 1/10 the mass of the proton. When after some initial confusion about the nature of the mesotron - now better known as the muon - the pion, discovered in 1947, was recognized as Yukawa's exchange particle, he was awarded the Nobel prize in physics for 1949. Yukawa, born on January 23, 1907 in Tokyo and grown up in Kyoto, was, by curious coincidence, a classmate in high school of another Japanese Nobel Prize winner, Sin-Itiro Tomonaga. Yukawa was an Assistant Professor at Osaka University when he published his paper "On the Interaction of Elementary Particles. I." in Proc. Phys.-Math. Soc. Japan 17, 48 (1935). In quantum field theory, still very new at that time, forces are described by the exchange of virtual particles. I am not so sure about how and when this concept has emerged. It shows up in a paper by Dirac in Proc. R. Soc. London. Series A 136, 453-464 (1932) for the electromagnetic interaction between two charges, and it seems that it was expanded in a series of papers by Dirac, Fock, and Podolsky in 1932. Anyway, electromagnetism with its 1/r potential is a long-range force, and as such very different from the force between nucleons. Because the energy of a nucleus is proportional to the volume of a nucleus, or to number of nucleons, as expressed in the Bethe-Weizsäcker mass formula for nuclei, it was clear that the range of the nuclear force should be very short, of the order of femtometer (10-15 m), the scale of the diameter of the nucleus. Following the ideas of quantum field theory, Yukawa had the insight that this can be achieved if the force between nuclei is mediated by particles which have a mass. In this case, the Coulomb form of the electromagnetic potential is damped by an exponential factor, with a damping length inversly proportional to mass of the exchange particle. This is the Yukawa potential. For the nuclear force with a range of 2 femtometer, Yukawa predicted a mass of the exchange particle of 100 MeV (remember 200 MeV · 1 fm = 1) - today we know that the pion has a mass of 135 MeV. Extracts from his paper and outlooks on the current understanding of nuclear forces can be found in the first pages of a presentation by Wolfram Weise. In Yukawa's theory, the exchange particle is a boson with spin 0 - as in the equation written on the blackboard. The interation of this spin 0, or scalar, boson to fermions is the Yukawa coupling. In the standard model of particle physics, the Yukawa coupling of fermions to the Higgs field gives the fermions their mass. Interaction by scalar particles is always attractive - as recognized by a puzzled Dirac, who discovered that in his calculation of the one-dimensional Coulomb problem "this interaction energy agrees numerically with what we should expect from a one-dimensional electrostatic theory. There is, however, a mistake in sign, as it gives an attractive force between like charges." The nuclear potential must also have repulsive components. These must be mediated by spin 1, or vector particles, as in modern relativistic meson theories of the nuclear forces. How these theories can be understood in terms of quarks and gluons is a topic of current reseach - there is a nice overview by Frank Wilczek in a recent issue of Nature (subscription required, a plot of the potential can be seen for free). So, maybe soon there will be a much deeper understanding of the forces between protons and neutrons - and this interesting physiscs goes back to your initial ideas, Mr. Yukawa - Happy Birthday! A lot of physicists, whatever religious identification they take for themselves, take the opportunity afforded by the Christmas, neé "Winter Holiday," season to go home or travel to warmer climes. Even with the stress of family, people take the time to relax and read a silly book, perhaps something by Dan Brown about physicists. Me? Not only did I not go home to my hometown of Los Angeles, but I actually stayed in Waterloo, Ontario, a considerably colder location! I far surpassed the Dan Brown readers out there, gorging myself on episodes of Grey's Anatomy and Radio Free Roscoe. I was on a self-imposed and very strict break from thinking about physics so that I could think about something else: doing physics. Before you ask, these two things are not the same. In the same way we might recall the stereotype of the distinction between the one who does and the one who merely dreams about it, I felt that for the last 14 years, I had been maybe living on the fence between the two. Ironically, right about this time, Bee asked me if I would write an entry for her blog about why I do theoretical physics. I told her I would, although I was petrified I was going to end up writing some pretty lies for everyone: inspiration that sounds good but really had done nothing for me. It is my hope that I have side-stepped inspirational-drivel and have instead managed to offer my version of the truth about what it means to do physics. For the last decade and a half, I have really enjoyed telling the story of how my mom dragged me to see a doc about Stephen Hawking when I was 10, completely against my will, and how sometime during that viewing, a light came on for me. Something similar to Priests who say they "get the call." Luke Skywalker discovering his way with the force. It was definitely a mythical feeling that insisted that I have a copy of Hawking's book immediately as well as plan out my entire career, which I did: an undergraduate degree from Caltech or Harvard (the latter turned out to be the case) and a Phd from Cambridge. (who knew it was so expensive to attend school in England for a USAmerican?) From there, I would continue into a glorious career that would involve discovering the true physics that would eliminate singularities and explain both black holes and the Big Bang. This is probably one of the reasons that we probably shouldn't let ten year olds run the world: oversimplification leads to a lot of problems. Obviously, the path to becoming a physicist is not nearly as smooth as I thought, and the earth-shattering moments of "aha" are not just few and far between. Indeed, they are the product of sometimes incredibly painful, scary, and seemingly fruitless persistence and hard work, something I'll be honest and say I didn't know too much about from an academic stand point until the week after I turned 17. It was at that time, carrying with me an overamplified belief in my ego's ability to hold me up, that I arrived at Harvard and discovered I was one of the least prepared people in the Class of 2003 to earn a degree in physics. Between coming from a political family that had doubts about the role physicists had played in world events to having attended a public school with less than ideal resources (bread board? lab? what? ), I was a fish out of water. You can guess that it was a struggle. But by the time I got to Santa Cruz, Dr. Petters, another Black physicist, had turned my head. Not only had I passed my graduate course in GR, but I had excelled. He pushed me to attend the annual meeting of the National Society of Black Physicists, where I met theorists who treated me like I could understand what they were saying. Their confidence in me helped me grow confidence in me. (As many of you have likely read, I am now very involved in that organization, and if you have ever wondered why, it is because of that gift.) So on my second day in Santa Cruz, I walked into Prof. Anthony Aguirre's office and said, "I want to work for you." And he was cool enough to let me. I got lucky enough that my questioning lead me to contact with Dr. Lee Smolin, who eventually agreed to take me on as a Phd student, unofficially at the Perimeter Institute, officially University of Waterloo. Rather suddenly, I packed up my life in Santa Cruz and drove (yes, drove!) to Waterloo, to begin a new life, a new Phd, a fourth year in graduate school. You'd think by now that I'd have everything under control: how to take classes, how to take exams, how to not freak out about whether I am good enough. I am the recipient of a National Science Foundation Graduate Research Fellowship, people have reminded me. The Lee Smolin has undertaken training me as a physicist. Clearly, if there was ever a time to stop questioning and get to work, it's now. And in a lot of ways I did. I spent all of last August devouring books on quantum gravity, gauge theory, and group theory. But then the classes. The anxieties of performance returned. And I have to admit, the stress beat me down quite a bit, and not all of it is someone else's fault. So everytime someone reminded me of that NSF Fellowship, I wondered why it didn't make me immune to the rough and tumble. The truth is: I knew why. The awards, the recognition, and high grades/test scores are a nice bonus if you can get them but they're not what makes physics happen. I have learned a lot from coming to the Perimeter, from working with Lee, who is a very cool dude. Physics happens because of hard work, yes. Physics happens because of persistence, yes. But physics also happens because of a creative drive and a will to create. If we choose not to exercise that creativity, if we choose to suppress it, or if we choose to narrowly define how it is measured (everyone knows that one's physics GRE score doesn't correlate with a good Phd Thesis, and that it may bias against women and minorities, so why is it still so heavily weighted in graduate admissions? ), then physics will not happen. More and more I repeatedly found myself explaining to people: no one goes to graduate school in physics if they don't love physics because we're just not paid enough to do that, and we could be paid a whole lot more to do something else. Maybe this seemed to become my mantra because I was trying to convince myself, more than anyone else. One of the things I did over my break was go to the Royal Ontario Museum (ROM). After about 5 hours wandering around with a friend, I ended up in the First Nations exhibit, which displays both old and modern artwork of the people who were here first. I found myself able to recognize all of the Sioux work without reading the placards. This is thanks to a few childhood trips to the sacred Sundance ceremony and many other Lakota-related events with my very spiritual mother. Our different take on the Spirits is something that has caused some strife between me and my mother, but as I was standing in that exhibit I realized that whether I could understand or explain it, whether it was physical or psychological, the connection was there. I was inspired. For the next few days I thought and I wrote about this feeling I was having, and then one day, I understood the feeling: I was ready to stop thinking about doing physics, and I was ready to just do it. And I've been doing it, pretty intensely. more (and has turned Kenneth Wilson into something of a personal hero recently). It's because for the first time, I saw that I didn't need to become a physicist because I have always been one. This is the truth that I took from my visit to the ROM. It is true that being raised with minimal exposure to Western traditions in scientific thought put me at a disadvantage during my early training in physics technique. But that does not therefore mean that to enter into this field of research, I have to cast off the traditions (spiritual and political) of my family to become one. Indeed, I am not required to become Western in my view of how people should be evaluated (in terms of their earning potential), nor am I required to see physics as a career that I choose or a physicist as something someone becomes if they fit the "right" mold. Finally, I do not have to forget where I came from or who I am to become something else: I can be a queer Black woman who believes in and works for social justice and a physicist, and those identities can be consistent with each other. I'm not sure if I can explain what that will mean tomorrow or the day after, except that I'm going to be very, very busy, sometimes frustrated, and always proud of who I am. I suspect that my reasons for doing theoretical physics are either something you grok (hopefully you've all read Heinlein), or not. But before you reject it, I ask you to think about it for a while, perhaps a long while, as I did. I'm 24 now, and I'm pretty sure that I'm terrified of 24 year olds being allowed to have any power in the world, so perhaps I've learned a little bit in the last 14 years. If nothing else, I know that it is important to me to take this moment to be thankful to all who have come before me and my ancestors, in particular the ones who survived the Middle Passage. Your passion to survive flows into me and becomes my passion to engage with the world deeply, giving me the will to create. 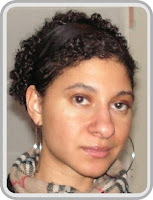 Chanda Prescod-Weinstein earned her BA in Physics and Astronomy and Astrophysics at Harvard in 2003, an MS in Astronomy and Astrophysics at UC Santa Cruz in 2005, and hopefully will earn a Phd in Theoretical Physics from the University of Waterloo in 2009. The dark energy problem keeps her up at night, as does dancing, thinking about matters of social justice, and a voracious appetite for literature. She highly recommends the book Stranger in a Strange Land by Robert Heinlein for those who did not understand the word "grok." Of course, wikipedia has a cheat sheet, but please, read the book!! Finally, a shout out goes to Prof. Steve(n) Weinstein who said some very useful things about what physics is and isn't over break. Last week, I had a very embarrassing dialogue with my colleague F. I just came out of the seminar room, chewing a pen (there goes the New Year's resolution). F. said, he was sorry to have missed the seminar and how was it? Well, oohm, I made some vague sounds between so-so and ah-well. Unfortunately, he asked what the seminar was about, and I had to realize that I could neither remember the name of the speaker, nor what he was talking about. Just that he used too much red on his slides. Despite evidence pointing to a ubiquitous tendency of human minds to wander, little is known about the neural operations that support this core component of human cognition. Using both thought sampling and brain imaging, the current investigation demonstrated that mind-wandering is associated with activity in a default network of cortical regions that are active when the brain is "at rest." In addition, individuals' reports of the tendency of their minds to wander were correlated with activity in this network. In case you don't have a subscription, there is a brief free summary by Greg Miller: Peering Inside the Wandering Mind. The researchers examined the activity of brain regions with the use of functional magnetic resonance imaging (fMRI). Roughly spoken, magnetic resonance imaging is a way to measure the reaction (resonance) of particles to a magnetic field. If the field is tuned appropriately, the particles resonate and extract energy from the field which can be measured. The strength of the signal depends on the concentration of particles that resonate. More information can be obtained by using pulses and measure the reaction of the particles, such as the relaxation time. You find a more precise introduction here. So far, so good. 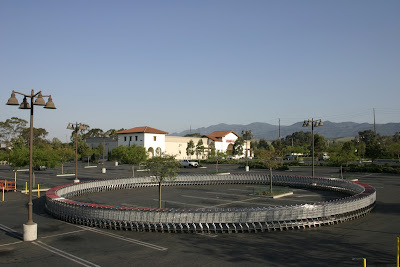 Theoretically this can be computed with elementary quantum mechanics. The really challenging task is to get useful 3D-pictures out of the data (essentially a Fourier-transform). By now, this can be done with amazing precision. For some more images, see e.g. this site. For medical purposes, one mostly uses protons (H), of which there are plenty in water, as well as in proteins. The latter have slightly different resonance properties because they are bound differently. Generally, part of the signal depends on the magnetic properties of the surrounding. Now it turns out that the blood oxygen level influences the magnetic properties since haemoglobin is diamagnetic when oxygenated but paramagnetic when deoxygenated. The signal of blood is therefore slightly different depending on the level of oxygenation. These different signals can be detected using an appropriate magnetic resonance pulse sequence, and is called the blood-oxygen-level dependent (BOLD) contrast. It is generally believed that the BOLD signal is a measure for neural activity, and this has been used in the study of Mason et al. They examined the active regions of the brains of 19 volunteers which were faced with more or less demanding tasks. The researchers found a particular set of brain regions - the 'default network' - which was more active when tasks were less demanding. If the use of this default network during tasks with low processing demands would indeed reflect mind-wandering, changes in the default networks activity during practiced or novel tasks should be related to the participants score on the 'daydream frequency scale'. The results of the study revealed 'a significant positive relation between the frequency of mind-wandering and the change in BOLD signal observed when participants performed practiced relative to novel' working-memory tasks. "Although the thoughts the mind produces when wandering are at times useful, such instances do not prove that the mind wanders because these thoughts are adaptive; on the contrary the mind might simply wander because it can." One way or the other, if you are sitting in a boring seminar chewing a pen, you're not just inattentive, but you're inspiring your brain's default network to increased activity. If nothing else, it sounds at least more scientific than day-dreaming. Researchers have been scouring rivers in Europe and the US for traces of cocaine consumption. The result: Cocaine use is probably much greater than previously assumed [...] New York continues its reign as the Cocaine Capital of the World. [...] Nowhere did researchers find as much pure cocaine as they did in the Hudson River. Look at this :-) I'd bet it was taken in Santa Barbara. Found on Robert Wechsler's site. Gee, it seems whenever Stefan and I attempt to write a post together it ends up being a total disaster. Good morning Stefan! Thanks for the draft, I rewrote it, just so you know! Okay folks, here we go: today is Benjamin Franklin's 301st birthday, and so this blog honors the man who enlightened America, born on January 17th 1706 in Boston. ...that Benjamin Franklin was the first American to own a bathtub? ... that Benjamin Franklin was so sure that fresh air was important for good health that he took a daily “air bath”? Well, I didn't know until today. See, that's what being married is good for, you learn how to get along with your ideas about bathing. Besides this, Benjamin is known for the invention of the lightning rod, the chimney and the public library. "(19 March 2006, Belize) Benjamin Franklin reputedly flew his kite in a lightning storm, going on to discover that lightning equals electricity. However, certain precautions must be taken to avoid sudden electrocution. Kennon, 26, replicated the conditions of Ben Franklin's experiment, but without Ben's sensible safety precautions. Dennon was flying a kite with a short string that he had extended with a length of thin copper wire. The copper made contact with a high-tension line, sending a bolt of electrical lightning towards the man. Just bad luck? Kennon's father told listeners his son was an electrician, and "should have known better." Kennon is survived by his parents, six sisters, and five brothers." 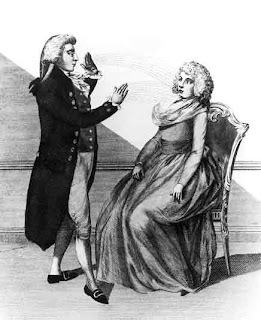 In the 1780s, the Viennese physician Anton Mesmer came to fame with his theory that "animal magnetism" may be an important determinant for the health of the body and the mind, and that magnetism could be used to cure all kinds of diseases. In a time when electricity was recognized as a driving force for the muscles in the body, this idea could not be easily dismissed as plain nonsense. There were many arduous fans of Mesmer and his healing methods. But there were skeptics, too - one of them was Louis XVI, the King of France, who wasn't as mesmerized as his wife, Marie-Antoinette. He wanted to know for sure what was there about these theories of this Austrian physician, and commissioned a report by high-level, international and interdisciplinary committee of experts to find out. Headed by Franklin, and including the chemist Lavoisier, the botanist Jussieu, and the physician Guillotin, the panel carefully planned and conducted experiments to test Mesmer's hypothesis. In their public report, they concluded that there was no scientific evidence of animal magnetism. Successes of Mesmer's cures could be attributed either to other factors, or to a placebo effect. I bet they'd been interested to hear this frog's idea about animal magnetism. "Perhaps the history of the errors of mankind, all things considered, is more valuable and interesting than that of their discoveries. Truth is uniform and narrow; it constantly exists, and does not seem to require so much an active energy, as a passive aptitude of the soul in order to encounter it. But error is endlessly diversified; it has no reality, but is the pure and simple creation of the mind that invents it. In this field the soul has room enough to expand herself, to display all her boundless faculties, and all her beautiful and interesting extravagancies and absurdities." For more fun with Franklin, check out this very professionally designed website, it's just a looker. PS: Sorry Stefan for messing up your pedagogically valuable essay. This post refers to three articles I read today about Micro Black Holes at the LHC. The articles are in German I am afraid, but I'll briefly try to summarize them. If you look at the above pdf-file, last page, bottom right in the box 'about the authors', you'll find the sentence '[...] work closely together with Dr. Sabine Hossenfelder and Dr. Stefan Hofmann (both at Perimeter Institute, Waterloo, Canada) [...]'. I am very relieved this piece of information did not make it into the both articles, because a considerable part of the content is complete nonsense. What we reliably know about micro black holes you find in my earlier post, or - for more information - look up this brief summary paper. Firstly, I should point out that the possible production of mini black holes relies on a scenario with large compactified extra dimensions, without these, nothing will happen. So far, there is absolutely no evidence for the existence of these extra dimensions. (See also Lisa Randall's book Warped Passages). Nevertheless, the possibility that quantum gravitational effects could potentially be observable at the LHC next year is just fascinating, and has been explored during the last years. I too have worked on predictions for the LHC. Especially the production of micro black holes is a topic that I've found very exciting, because it is one of the most general expectations that we have. When gravity gets too strong, one makes black holes. This is fairly independent of the exact details. The precise properties of the black hole's decay however will be model dependent, especially in the late (Planckian) stages. Some argue that there might not even be a final decay, but that a 'black hole relic' remains: a thermodynamically stable black hole of about Planck mass that does not evaporate. For the case of LHC, these relics would have mass of the order TeV (about 1000 times a proton mass), or a diameter of the order 1/1000 fm. (In case you don't know what a fm is, this is really tiny.) Nobody knows whether black hole relics exists. Most don't think so, me included. The three articles above feature an 'idea' by Horst to use black hole relics to convert mass into energy. You find this mentioned in hep-ph/0607165, section 6. The idea is roughly that one pushes matter into the relics. Thereby their mass increases, which means they are able again to evaporate. They evaporate back down to their original mass, thereby releasing the matter that was pushed into them in form of energy. Thus, one has converted mass into energy. "Should the production of stable relics at CERN in the next years be successful, then the energy consumption of the whole earth could be provided with only ten tons of arbitrary material in these converters. The search for the micro black holes therefore is a profitable matter." Well, unfortunately this idea is very far from being realistic. Since I know both Horst and Marcus, I really don't like to do this, but I just feel that I have to point out this is scientifically complete nonsense: The black hole relics are very small, and have an extremely tiny cross-section. This does not only mean it's impossible to store them (when they are uncharged), this also means you can't feed them. This exactly being the argument why the black holes don't grow and eat up the earth. Even if you'd run the whole LHC for each atom of the matter that you want to 'push' into the relics of size 10-18 m, you'd have very little chances of success. To put it boldly, if you want to convert your empty coke cans into energy, you'll have to push them into the relic of the size 1/1000 of a proton's diameter. But let's leave aside the coke cans. What do you think how profitable it would be to run the LHC to convert even a single proton into gamma rays? And even if, then what? Use it to heat water by cooling the detector? And notice that you can't put these relics together to get a larger one (even if you could store them) because they would merge, evaporate and leave you with only one relic. Look, I really am a friend of speculative ideas, but for scientists it is irresponsible to distribute gross misinformation like this. I've talked again and again to Horst, and I like to think that he is aware of this issue. One might want to blame the notoriously problematic financial support for this. One might also want to blame the journalists for not being skeptical enough, or - more importantly - the referees and editors who accepted papers that contained this nonsense. But eventually the responsibility goes back to the scientist. I think it it ethically unacceptable to publicly spread this scientifically unjustified idea. I neither think this is cool, nor fun, and I want to strongly distance myself from this 'patent'. If you avoid the part with the energy conversion, I can recommend the article at heise.de. A Rose! In case you live in Southern California, you may say so what, and it's not even open - but the small village where my mother lives is not California. 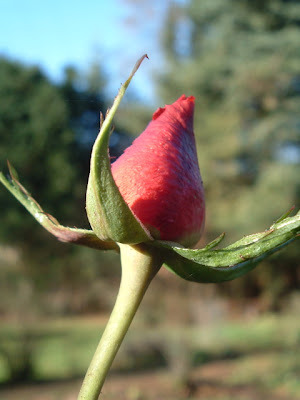 It has a relatively tough climate, and the last roses of autumn can usually be seen around mid-November. Ball lightnings are mysterious things: Small, bright balls of fire suddenly appear during a thunderstorm, swirl around, make sometimes funny noises, and leave behind a smell of ozone. My grandmother has often told me how she once has witnessed one when she was a little girl. In the Tintin adventure The Seven Crystal Balls, a ball lightning destroys the mummy of an ancient Inca King which was brought to Europe by seven explorers, all of whom succumb to a mysterious spell and fall into a deep sleep interrupted only by cruel nightmares. A more "down to Earth" explanation was proposed in a 1999 Letter to Nature: John Abrahamson and James Dinniss conjectured that a ball lightning may be caused by the burning of small particles created when a normal lightning strikes on soil. The stroke of the lightning would vaporise and reduce silica in the soil into pure silicon vapour. As this vapour cools, they suggested, the silicon condenses into a floating aerosol bound by electric charges on its surface and forming some kind of bubble. Like the magnesium in the flashlight of an old-fashioned photographer, the pure silicon immediately burns in the oxygen of the surrounding air. This then creates the bright light and the smell of the ball lightning phenomenon, which then would be not an electric discharge, but a chemical reaction. The explanation proposed by Abrahamson and Dinniss has now been tested by by a group of chemists and physicists of the Universidade Federal de Pernambuco in Recife, Brazil, as reported in the New Scientist. The paper Production of ball-lightning-like luminous balls by electrical discharges in silicon by Gerson Silva Paiva, Antonio Carlos Pavao, Elder Alpes de Vasconcelos, Jr. Mendes Odim, and Jr. Felisberto da Silver Eronides has been accepted for publication in PRL in January 2007. In their experiment, the Brazilian scientists vaporised parts of silicon wafers by the application of high currents of up to 140 Ampere. In the electrical arc of this discharge, similar to a lightning hitting soil, small glowing fragments of silicon could be created, and, sometimes, Ping-Pong ball sized blobs persisting for several seconds! 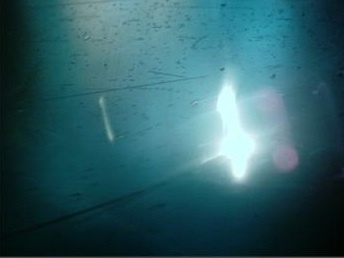 There is a small movie available which shows little balls of light, burning silicon vapour dancing on the floor of the laboratory (unfortunately, the movie does not seem to work with Mac...). These small little things probably wouldn't frighten good old Captain Haddock, but they are quite impressive, nevertheless. Even if it's not completely clear yet if the riddle of the ball lightning is solved, as claims a headline in the German news magazine Spiegel - this Brazilian experiment may bring us closer to 'home made' ball lightnings as a fancy show effect for the next cocktail party! See, that's what technological progress is good for. Thanks to Kerstin for the interesting info. It's snowing up here in Waterloo. 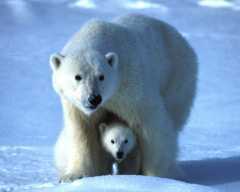 I wish I was a polar bear! They aren't only cute but quite interesting guys. 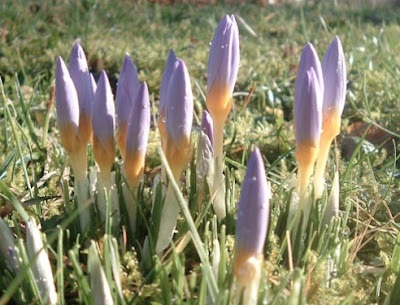 Since they are hard to see in snow, researchers thought some while ago, it would be a good idea to search for them in the infrared. To their surprise, they didn't see much, see the picture to the left. There's eyes, nose, ears, but where is the rest? "Radiative Properties of Polar Bear Hair,"
BED-Vol. 53, 2002 Advances in Bioengineering, ASME 2002.
summarizes the results of an investigation which shows that polar bear hair has the same radiative properties as snow. Amazing animals, eh? Though the military was originally very excited about the bears for creating infrared camouflage in cold climates, they quickly lost interest when they discovered that the polar bears could easily be seen in the ultraviolet. Some more info at this website. 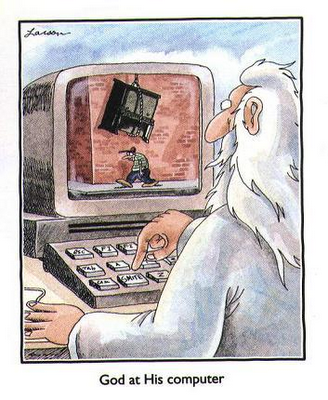 From the category 'Useless Knowledge': Did you know... that Isidore of Seville is the patron saint of the internet? This sonar sensor attaches to your wrist and doubles as a watch. It operates in a 75' remote radius, transmitting views of fish to the LCD display. The sensor reads depth to 120' with a wide 90° sonar beam. Includes display backlighting. Remote sensor runs 500 continuous hours, and automatically shuts off after removal from water. With instruction manual, carrying case and remote sensor. Includes lithium watch battery. Sensor is ABS plastic. Detailed to resemble a real golf ball, it zigs and zags at a touch of the remote control, allowing you to fool golf partners as they watch putts drift wide of the cup at your command. The joystick on the discrete remote control lets you direct the ball within a 100' range. The ball can operate on three different, selectable frequencies, allowing you to race two at a time. 'Hey, I gotta call you back later...' Everybody gets those annoying phone calls. The kind where you sigh heavily, roll your eyes, and make those annoying "blah-dee-blah" hand gestures like some demented muppet that won't shut up... Believe me, we get those calls, too. We feel your pain. Luckily, we have an awesome solution. The Excuse Box is no ordinary key tag. Its onboard memory holds 10 full minutes of environmental effects designed specifically to befuddle your annoying caller. Click on the links below, and imagine yourself gleefully escaping from an otherwise awkward and potentially trouble-filled phone call. The USB Missile Launcher is the ultimate deterrent against those annoying people who lurk around your desk because they've nothing better to do. The Launcher holds three foam missiles, and Missile Command is located on your desktop (which is a great deal more convenient than having it buried under Cheyanne Mountain in Colorado - but that's Norad for you). You simply use your mouse to control the launcher which rotates and tilts as you zero in on your victim, that, despite being deeply childish, is immensely satisfying. The Missile Launcher fires its three foam missiles sequentially as you hit the 'Fire' button, and though collateral damage is minimal, the fun factor is exceedingly high. We just love USB toys. Procrastinate At The Office With Confidence! [...] The Stealth Switch is the answer. Quickly install the software and plug the hidden foot switch in (it goes either between the keyboard and your computer, or just into an available USB port) and you are safe. It hides in the shadows and just a light tap of your toes will let it work its magic. Based on your preferences, it can hide the current window, hide all windows, or hide all windows except for specified windows. Not just minimize, mind you, but totally erase from your screen. The Stealth Switch can also mute the sound, hide the taskbar, hide the desktop icons, and password protect the restore function. When the coast is clear, another quick tap and you are ready to frag in peace. A t-shirt with a built in "graphic equalizer" panel that is sound sensitive. As the music beats, the shirt's equalizer lights up to the beat of the music. Great for concerts, raves, parties or just to impress your mates. [...] made from 100% cotton, beware of inferior shirts made with polyester. It has a fully functional EL (Electro Luminescence) panel with a battery pack and sound sensor that snuggles discretely into a pocket inside the shirt. The end result is an awesome sound sensitive music T-Shirt that commands attention.